Ellis is currently entertaining offers from teams in the United Kingdom to turn pro in 2013. Speedway racing throughout European continues to grow in popularity with each passing season, particularly in central and northern Europe. There are countless regional grassroots leagues and teams, and several Premier Leagues which are administered by the Fédération Internationale de Motocyclisme (FIM). 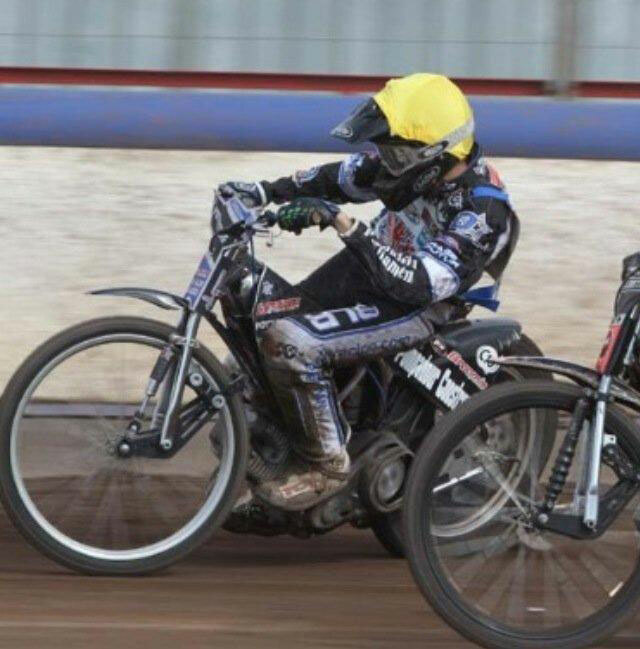 Adam Ellis, the 15-year-old, K&N sponsored Speedway racer sits in second place at the mid-point of the 2012 French Speedway Championship. For the past couple of season few upcoming Speedway stars have stood out any brighter than Adam Ellis, the 15-year-old, K&N sponsored, French Speedway racing phenom. The last time we spoke was in 2011 at this same point in the French Speedway Championship and Ellis had the lead in the 250cc class at the time. "I now have reached the halfway point of the season, and I am currently sitting in second place overall in the 250cc French Championship," said Ellis. 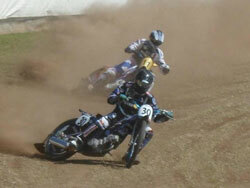 I have started riding in the 500cc class in the UK, where I have won both of the Under 16 British Championships. 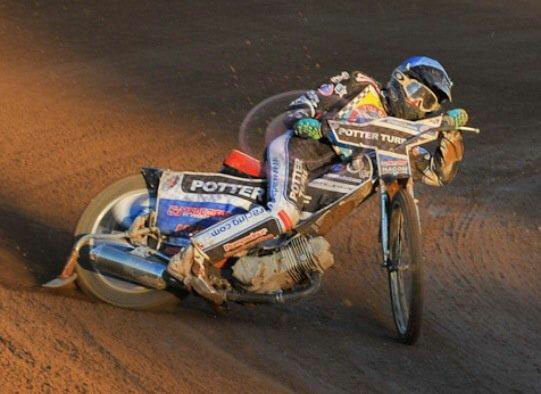 I have also been riding the Isle of Wight in National League speedway." The second half of the French Speedway begins this week at Miramont de Guyenne. That Ellis could be successful in both the 250 and 500cc class comes as no surprise. 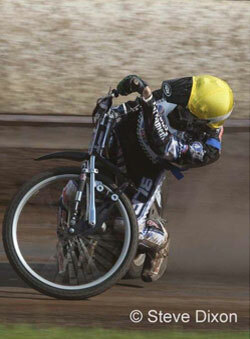 Ellis' aggressively stylish riding flair continues to draw fans to his championship winning cause. Last season in the final round of the French Speedway Championship at Miramont de Guyenne, Ellis also competed on his 250cc motorcycle and in the 500cc Open class, and when he finished second overall, beating 17 other 500cc riders in the process, it wasn't only the fans that took notice. "I have had a few offers from teams in the UK, to upgrade to professional in 2013, which are my plans at the moment," explains Ellis. The extreme sports devotee rocks the sun-bleached blond hair while indulging his hobbies which include surfing and snowboarding. At first glance he looks like the poster-boy for the Southern California dreaming lifestyle. In actuality Ellis calls Taillecavat, in the South of France his home. In 2011 Ellis earned second place at Ledbury, United Kingdom, a third at Morizes, he won in Artigues de Lussac, and earned another runner-up finish in St. Macaire, the last three all being in France. Ellis' most enthusiastic fans and supporters continue to be his mum Julie, his dad John, and his sisters Leigh and Jasmine. He lists his racing ambitions simply as "To be the best!" His next race is back at Miramont de Guyenne located in south western France, and he will again be competing in both classes on the same day.